""It is a truth universally acknowledged that Jane Austen's "Pride and Prejudice" is one of the best-loved novels of all time--and today, it's more popular than ever. When the wealthy and very eligible bachelor Charles Bingley purchases an estate in the Bennets' small town, he and the beautiful Jane immediately fall in love. But Bingley's arrogant friend Darcy just as quickly alienates Lizzy when she overhears him speaking dismissively of her. These first impressions have lasting repercussions for Jane, Elizabeth, and their whole family.Rich in wit and wisdom, humor and humanity, "Pride and Prejudice" takes a probing, entertaining look at the nature of love, money, and power in Georgian England. 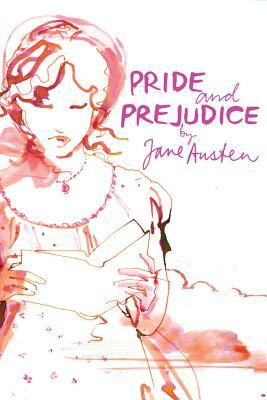 "Pride and Prejudice," released in 1813, was Jane Austen's second published novel. Her works were published anonymously during her lifetime, and she did not become the famous literary figure she is today until the late 1800s. Austen's novels are filled with witty and satiric commentary on the social conventions of her time. Fashion illustrator Sara Singh's art has appeared in such publications as "Vogue," the "New York Times," and "House Beautiful, "and she has worked for designers like Givenchy, Tiffany, and Neiman Marcus.